Family Literacy Day came on Monday. Did it escape your attention? Literacy challenges are too important to your organization to ignore. People tend to think of literacy as something that you either have or you don’t have, but in recent decades we’ve come to understand literacy as a range of skill levels. Literacy is a variable just as plain language is a variable and not an absolute. Using printed and written information to function in society, to achieve one’s goals, and to develop one’s knowledge and potential. Later surveys have taken account of the need now for digital literacy. but confirmed that literacy skill levels are also indicative of a person’s numeracy and problem-solving skills. Not much help when you can’t read it. Consistently, in the U.S. and Canada, as recently as 2013, nearly 49% of adults lack adequate literacy skills. 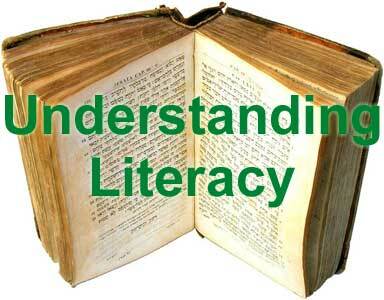 And literacy skill levels are also indicative of a person’s numeracy and problem-solving skills. The various surveys between 1995 (IAAC) and 20013 (PIACC) have measured reading skills as explained in the chart below. The reading skills of most of the public in North America fall in Levels 2-3 in this chart. They will benefit most from your using plain language. Those in level 3 have functional skills and can cope with the reading needs of daily life and work. The middle of level 3 is the minimum literacy skill needed in today’s information society, but it is inadequate for coping with technological advances in the workplace or with new and unfamiliar information. Four out of ten Canadian adults have literacy skills too low to be fully competent in most jobs in our modern economy according to the Conference Board of Canada. Who are these people with low literacy? People with literacy deficits can be productive citizens and successful business people. Many senior citizens had only elementary school education and their reading skills may be low by today’s standard. Many middle-aged people went to high school but have let their reading skills deteriorate. Along with many younger people, they have fallen out of the habit of reading − they get all their news from television and radio, all their entertainment from tv, films, and concerts. Another group of people suffered during their developmental years from poverty, abuse, neglect, disability or discrimination. These are major roadblocks to a child’s education. These children can have trouble concentrating at school and may never learn to read adequately. Immigrants may be literate in their first language but struggle with English while others are not literate in their first language and learn English slowly. When adults in the family have low literacy, it affects the whole family. Low literacy correlates with poverty, unemployment, poor health, lack of engagement in civic life. The best place to promote reading and increase literacy is within the family. We define technical and legal terms in the text of the material. We use everyday words in their common meanings. We use only forms that are necessary, when necessary.